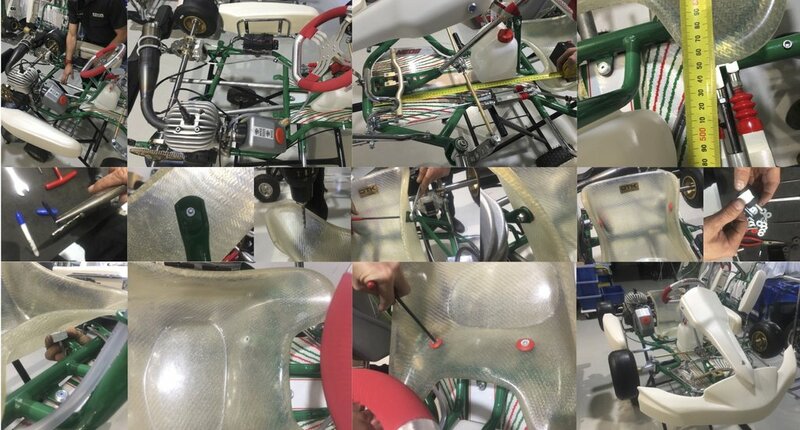 Power Republic’s Derek Jones has prepared this step-by-step guide about fitting a seat to a kart chassis. In the video, Derek installs a new OTK seat in a 2017 Tony Kart Neos Cadet kart. For measurements for other Tony Kart models, contact Power Republic or Tony Kart Australia. For other brands, contact the manufacturer or your local dealer. Place your go kart on its trolley and place 2 steel pipes (or something similar) underneath either side of the kart to lift the chassis off the trolley slightly. Using a bullet-tip marker pen, remove ink stub from the nib of the marker with a set of pointy-nose pliers. Holding the nib with the pliers, mark out holes from chassis seat support on to each side of the seat. Using your black wedge spacers, close the gap between chassis’ seat support and and the outside surface of seat. Using the appropriate hardware for your specific model of go kart, secure the seat to the kart using a 13mm socket in a ratchet and 5mm Allen key or T-Bar.